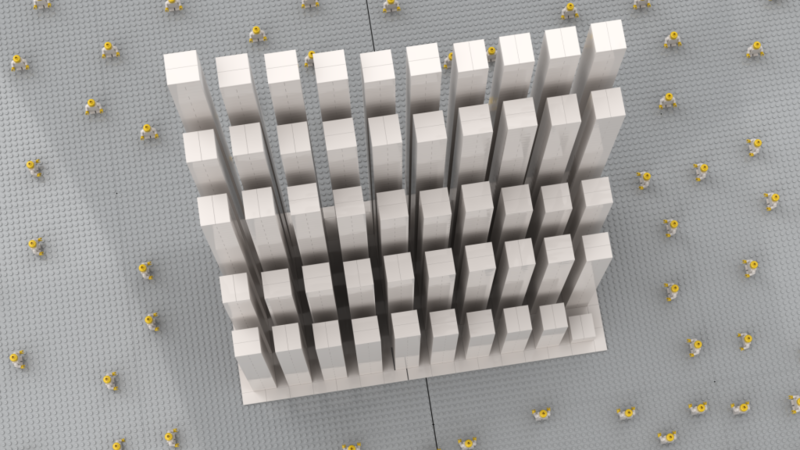 LEGO | Christoph Bartneck, Ph.D. The LEGO bricks are precisely designed to fit perfectly together. There is a 0.2mm gap between bricks next to each other. The gap between two bricks stacked on top of each depends on how careful to pressed them down. Of course there are several websites that show you the exact measurements, but some of them were a bit confusing or even broken. I enjoy working in 3D so I used Fusion 360 to create this technical drawing of the LEGO Brick. 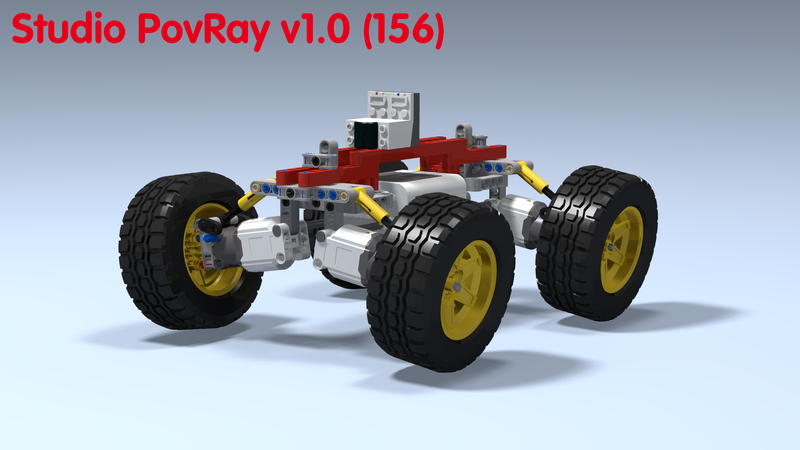 You can download the model over at GrabCAD and the PDF file from here. I hope you find it useful. 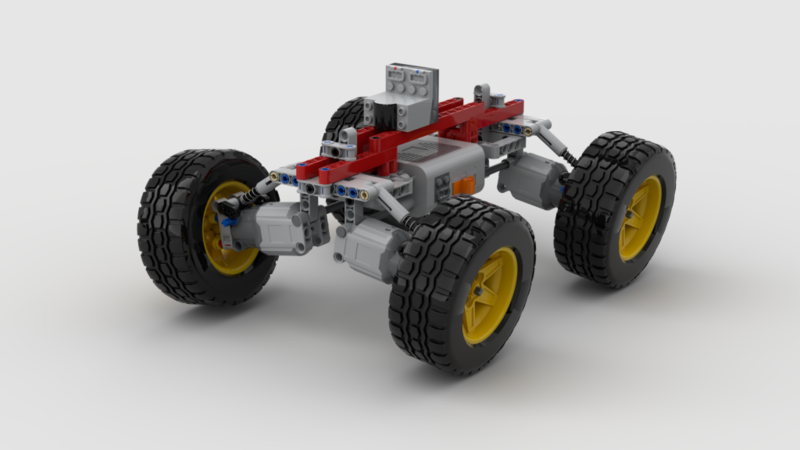 I intend to add more illustrations about LEGO Technic in the future. On Friday March 15th 2019 New Zealand experienced its biggest terrorist attack in Christchurch that took the lives of 50 people. The loss to their families and their community is indescribable. It is our responsibility to pay respect to the victims, their families and their communities. Moreover, we must take action to prevent that such an event will ever happen again. 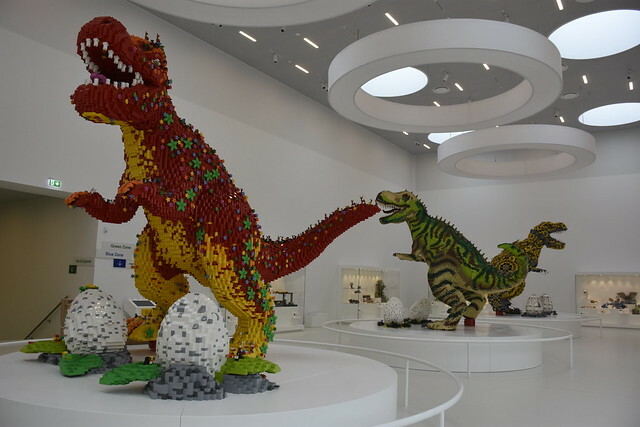 For this purpose we propose to build a memorial exhibit for the Christchurch Brick Show. The exhibit will consist of two parts. 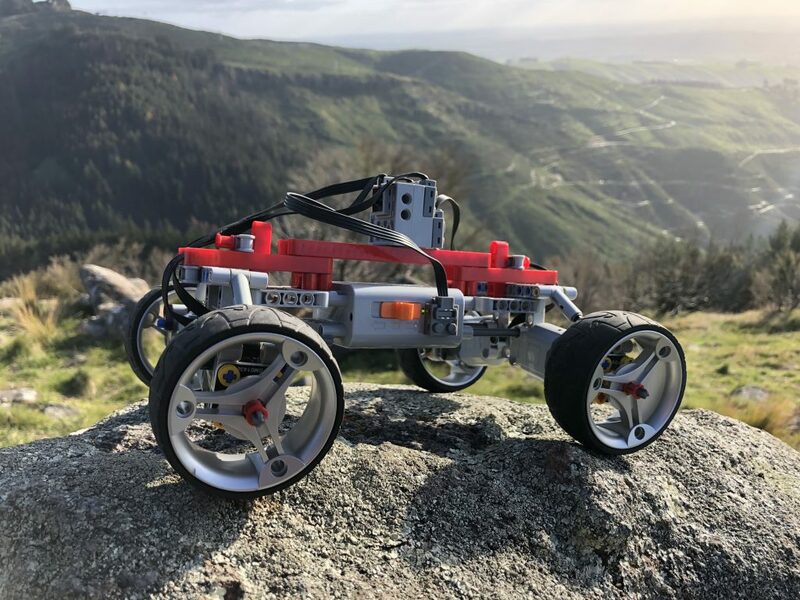 This LEGO remote controlled crawler uses a sequential gearbox from Sariel and a Mindstorms EV3 to control the car. The remote control used force feedback and offers proportional control over speed and direction. It also allows you to change gears and change the forward and backward drive. 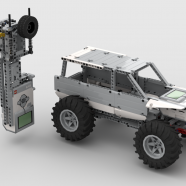 The two EV3 Mindstorms communicate using Bluetooth. The remote uses two rotation sensors to measure speed and direction. 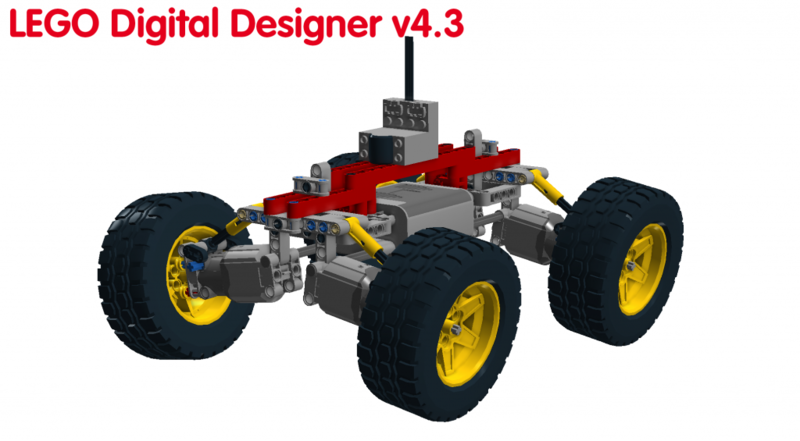 The building instructions are available for LEGO Digital Designer and Stud.io. Please notice that I had to replace the 35188 Technic Changeover Rotary Catch with another gear in the digital model and I could also not include Mindsensors Glide Wheel Rotation Sensor. These bricks do not yet exist in digital form. I also put up the model are ReBrickable and the inventory there is almost complete. Feel free to also use different wheels. In the LDD model I also had to use other shocks. 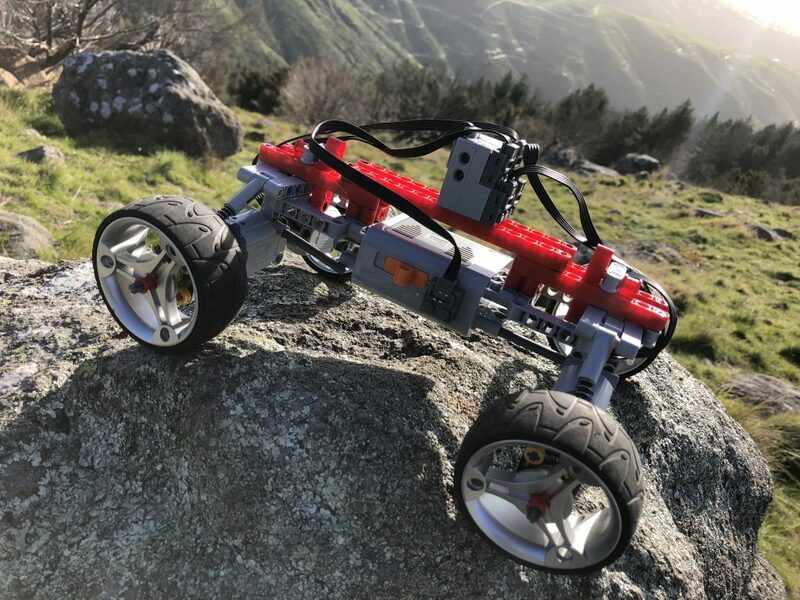 I built a new version of my Race cars series (Race1, Race2) with the logical name Race3. This time I am using the SBrick to control the car which gives its proportional steering control. This is great for driving curves. Race3 features individual suspension, ball bearings and a very low centre of gravity. 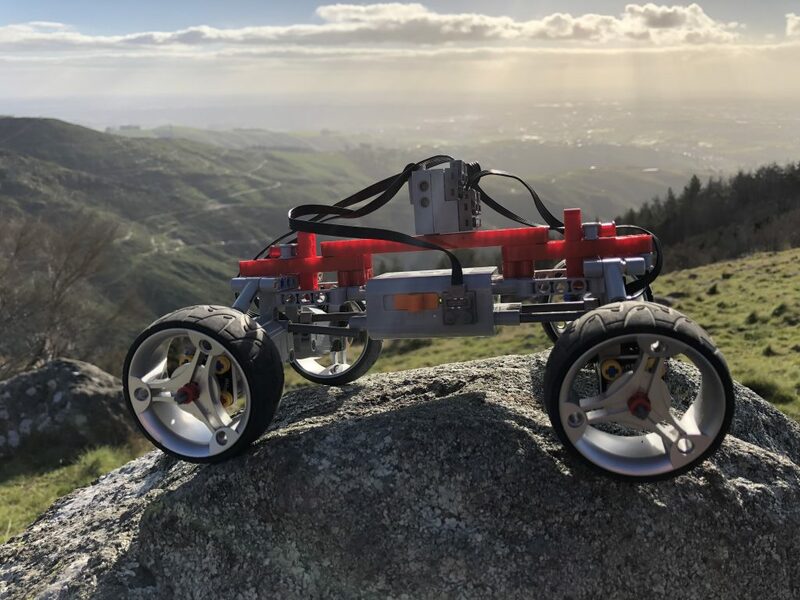 You can drive it up and down pretty much any rock or mountain. Here is a video of what it can do. And here are some photos of the model. Building instructions are also available. I also put up this MOC over at Rebrickable. This is the most comfortable editor for all platforms, but LEGO’s support for this software is in doubt. The build in render engine is not the best, but you can use Bluerender that in turn uses PovRay for rendering your model. 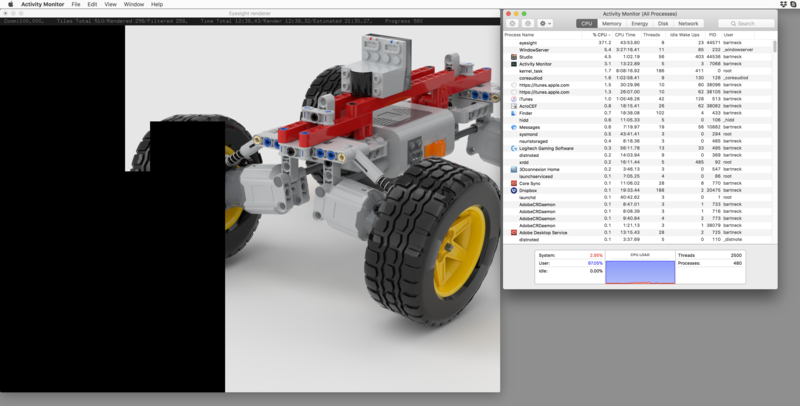 Draw is the oldest software and it is maintained by the LEGO community. There are several different editor and render tools available. 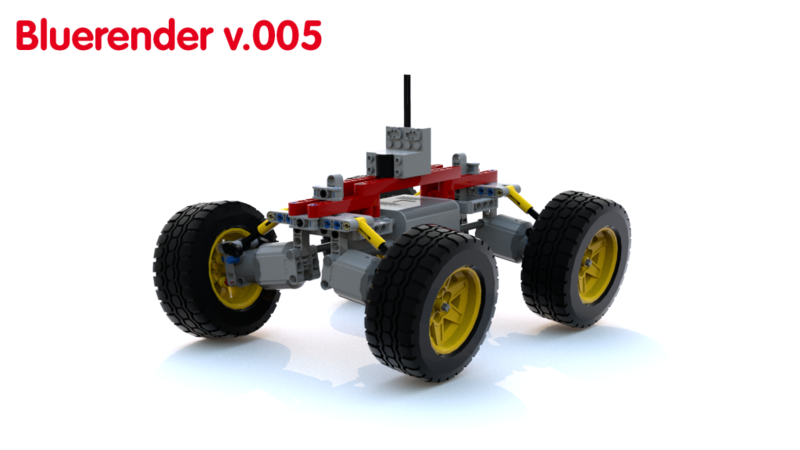 This software was developed by Bricklink and it uses LDraw for its parts and PovRay for the rendering. In its newest Beta version Stud.io is using a new render engine called Eyesight. This online software runs in your browser and you need to pay for having your image rendered on theirs server farm. They did not have the L-Motor in their library and hence I could not render my model there. So lets compare the results of the render engines. Below you find the rendered images of all software packages set to their maximum quality level. I also uploaded these images to Flickr. 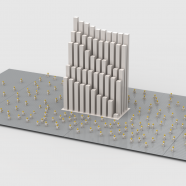 It is very clear that the new rendering engine from Stud.io is far superior to all other rendering engines and this alone might motivate you to adopt this software as your default LEGO digital design tool. 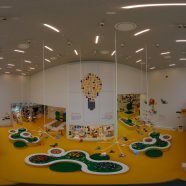 I was honoured to be invited to the LEGO Idea Conference 2018. 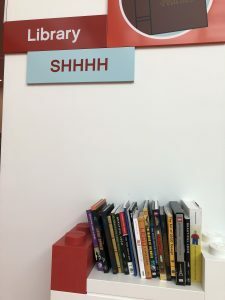 It gave me the opportunity to meet with several members of the LEGO group but it also brought me up to speed with what the LEGO Foundation is working on. I talked to Kjeld Kirk Kristiansen and gave him my Unofficial LEGO Color Guide. I met with Jan Beyer and talked about the LAN and their connection to the AFOLs. I also discovered that the LEGO House’s library features my Unofficial LEGO Minifigure Catalog.